Staff - Arts ink, Inc.Arts ink, Inc.
Artists. Believers. Pirates. Protagonists. Star Wars Nerds. Optimists. These are our people. This is Arts ink. Amy is a working mother of five (Beckett, Sawyer, husband, cat and her newest “baby,” Arts ink) and she wouldn’t have it any other way. That ducky tattoo on her foot has a meaning — to remind her to let things roll off her back like water off of a duck. And she does. 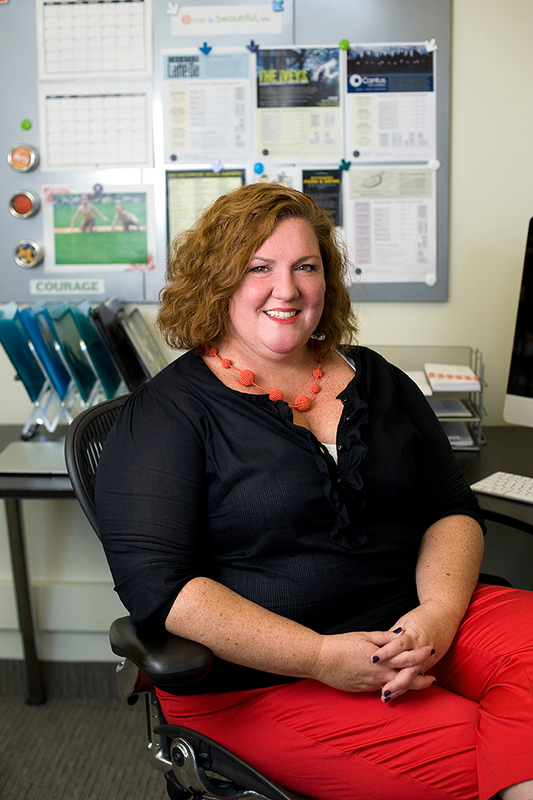 Amy is an exceptional planner, strategist, beer-drinker, listener, manager, communicator, confidant and friend. You’ll see. She will have you immersed in an in–depth conversation and you can literally see her wheels turning — and she’s tracking it all. Oh, and she really knows her way around a spreadsheet, too. Amy has for her entire life, loved the arts and the non-profit world. When asked if she still uses her acting skills, she replies, “Every day.” From marketer, concepter, writer, seller, and so on, the woman has done it all. 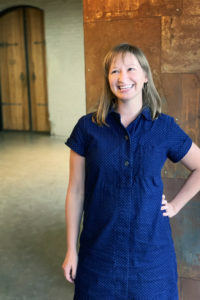 After years of working in arts-related fields, Amy was struck by a vision and she executed it: She saw a need in the Twin Cities artistic community for an agency specifically geared to the Arts. From there, Arts ink was born. These days, Amy is motivated by a single-minded focus: to make a positive, meaningful change in the bustling artistic world in which we live. And, make no mistake, when she sets her mind to something, there’s no stopping her. At Arts ink, Amy is not only our CEO and co-founder, but she’s also our source for inspirational energy and don’t forget: laughter. She’s a jokester who is most-often amused by her own humor — which makes her all the more charming. She’s a visionary. 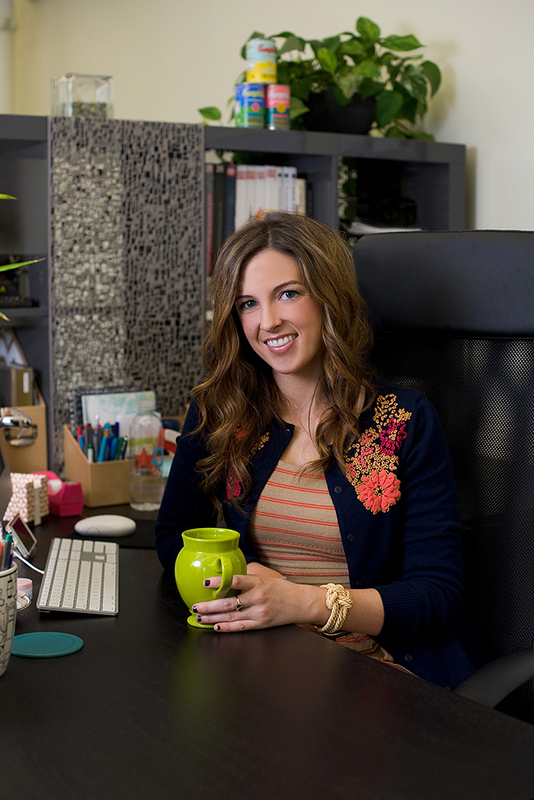 Amy has this power to get clients and employees alike ultra jazzed about what could be and if that’s not enough, she also finds ways to make it happen. We’re just glad we get to be around to watch. Mollie came to us from a place with another circular logo. In her interview, we told her she would be required to jump from project to project, wear many hats and be ready and willing to take on any task that helped us meet our deadlines and clients’ goals. Then, when asked how she preferred to work, Mollie said “I like to work on one project at a time and stay focused.” Rather than telling us what we wanted to hear, she spoke the truth. We immediately targeted her as our perfect Senior Business Manager. Mollie is a no-fuss, no-muss kind of gal. She challenges us and our clients to think differently. She implements systems, identifies opportunities and moves forward without asking permission – we love it. That Mollie, she’s a darn fine lass who is warmly welcomed by the Arts Inkers, all of whom consider St. Patrick’s Day to be a business holiday. Mollie never means to cause us any trouble, never means to cause us any pain. She only wants to see us working in the Purple Rain. Reign on Mollie, reign on. Voted most likely to make a list and to have multiple colored highlighters to cross things off said list — all held in some bright, fashion-forward, wish-you-had-one notebook. Danielle is a go-getter who works as hard as she plays. She has mad skills in graphic design, project management, and don’t forget — baking. Here’s the deal — if she’s on your project, you can sit back and have a cold one. As Arts ink’s Senior Project + Creative Director, she is the master of keeping you (and us) on track … without being your worst nightmare. She’ll tell you what to do, when to do it and how to maximize your time. Sit back and enjoy — it’s a fun, productive and highly enjoyable ride when you’re working with Danielle. When you get a chance, meet her in person and ask her about her fixer-upper, favorite Bloody Marys, and Harry Potter. She’s bubbly, sassy and impossible not to love. And, that smile? Please. Bazinga. Our resident tree-hugger (global warming is real) and Art Director extraordinaire, Leah H. Muntz’s work has been ogled over by the Arts inkers for a decade before we finally got to call her ours. Leah, pronounced like the beloved Princess Leia (hair buns not included), is innately creative. She started drawing as a youngin’ as her father would threaten to have his children vacuum unseen corners. The hobby gave her great joy and comfort especially through her tween years. 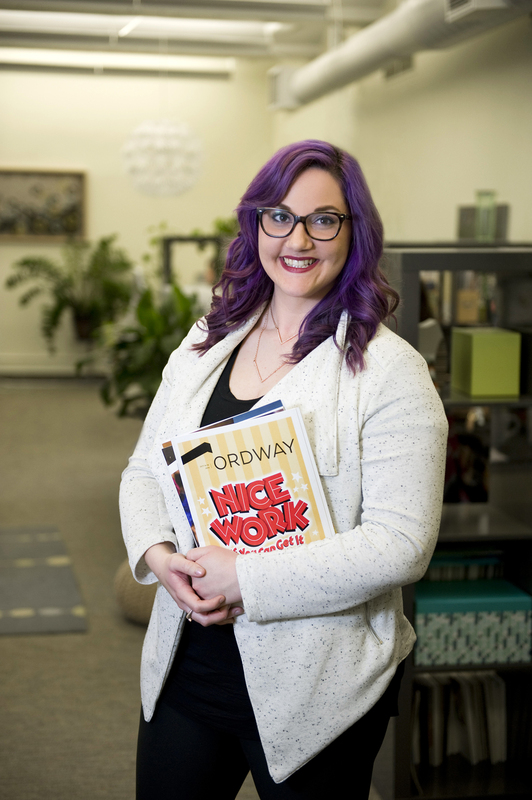 From there, she focused her schooling on the visual arts — fast forward 18 years and countless impressive arts and non-profit clients later — we couldn’t be happier that she chose us! She is soft-spoken with a killer dry sense of humor — she strikes when you least expect it. This craft market loving cutie continually impresses us with her strong work ethic, easy-going attitude, fresh ideas, and unbelievable attention to detail — girl compiles an insane mock up [we love that kind of thing around here]. In addition, Leah rocks the title of “working mom” with style and grace — and darling colored tights — she has a 1 and 4-year-old who continually challenge her creative problem-solving skills and a husband who saves every day in the kitchen. Leah is the calm in the art storm — there is nary a design too challenging or obstacle that cannot be solved with creativity and a pinch of sarcasm. 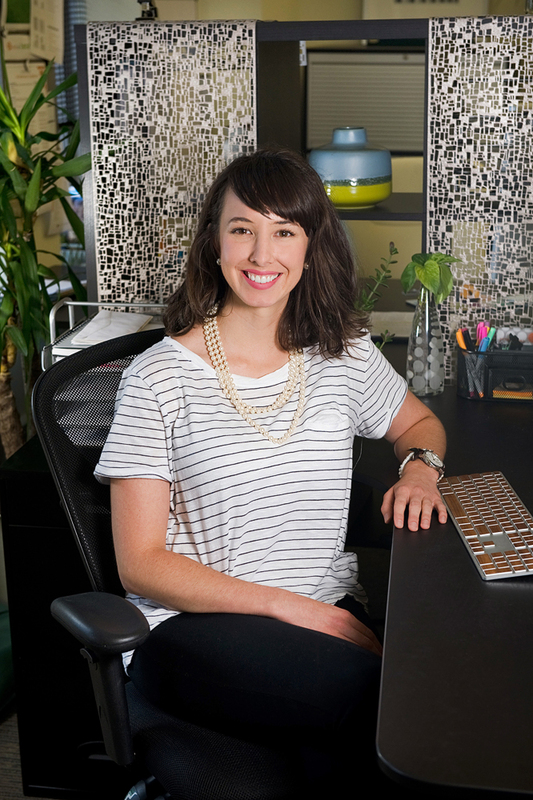 Katelyn Devine, Project Manager + Art Director, is a lean, mean, graphic designing machine. Aw, who are we kidding? We don’t call her Katelyn, she’s Kitty to us, as deemed by her biggest fan, Danielle. She’s lean — because she walks to the fridge at least 10 times a day to concoct such delicacies as the mac ’n’ cheese burrito and then skips or dances her way back to her desk. Mean? She’s anything but. Kitty is quirky, talented, geeky and loves animated movies, Harry Potter and musicals almost as much as the rest of us. Kitty is wise beyond her years – as evidenced by her remarkable communication style, graphic design skills and her calm, cool and collected nature; all critical skills in the creative chaos that is Arts ink. Her wand (Voldemort) is indicative of her dark side — wicked good impressions and purposeful placement of ear worm songs into our heads without us even knowing it, evil girl. Sometimes charmingly slow to catch on to our inside jokes, when she eventually does gets it, her belly laugh and wide smile make it all the funnier. Watch out — she can take it as well as she can dish it out, which is just the way we like it. What would we do without our Kitty? We hope we never find out. Cool story, Bro. Graphic Designer Chloe Crimmins came to us a fresh U of M grad. Though she worked multiple design jobs / internships throughout her college years, we got lucky and snagged her right as she approached the working world gates. Chloe, a naturally curly blonde, adds variety to our office of brunette and red-headed beauties. She is a self-proclaimed “hippie child,” — an easy-going, care-free, yet fierce feminist who is always on board to take on new challenges — including challenging us to think differently and be better, stronger women. She approaches design with a highly conceptual mind and can spit out wicked cool illustrations. We find Chloe to be the hippest, most talented “hippie child” we never knew we needed. Chloe grew up in an arts-loving family. A week rarely goes by that she’s not attending a concert, performance, or event. She is a true city girl — born and raised in Minneapolis, MN. Have a question about public transportation? Chloe’s your girl! Did we mention she has never tested to get her driving license? On a typical weeknight, you’ll find her meandering Uptown (namely Paper Source), trying out a new restaurant (wine included), or snuggling with her two dogs. Ms. Crimmins is a crazy-sweet cocktail, with a perfect splash of sass. The mixologist got this one just right. 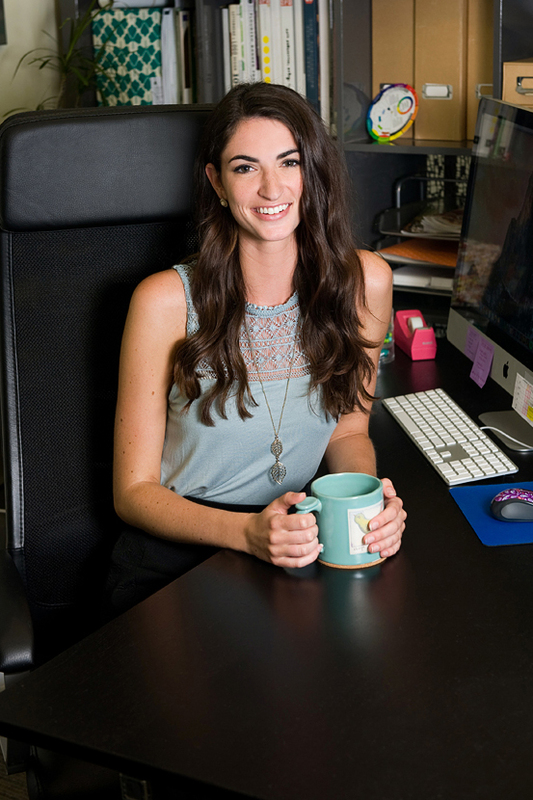 Account Executive Mary-Kate Carsi is truly one-of-a-kind. She will dominate in any kind of musical trivia while watching Harry Potter and entering the latest online contest for concert tickets. (She wins. Every time.) She is always full steam ahead and keeps a strong base of loyal friends who understand her greatest desires in life — coffee, music, and Disney. Every Arts ink project draws on the expertise offered by our extended team of talented designers, writers, project managers, social media experts, marketing and fundraising strategists, and more. You get the best in the biz; Arts ink’s team is comprised of champions. Arts ink is an arts and non-profit creative agency and think tank. With services ranging from project management, graphic design and strategic planning, we strive to keep our services affordable and accessible for organizations with varied budgets. As a group of artists ourselves, we are uniquely suited to collaborate with artists and artistic organizations to produce marketing collateral and strategies that match the integrity of the work they produce.